They’re the daughters of immigrants and the daughters of chefs. So it’s no surprise that Maiko Kyogoku and Emily Yuen got into the restaurant business. These two young women are the team behind Bessou, one of the most charming restaurants in New York City. 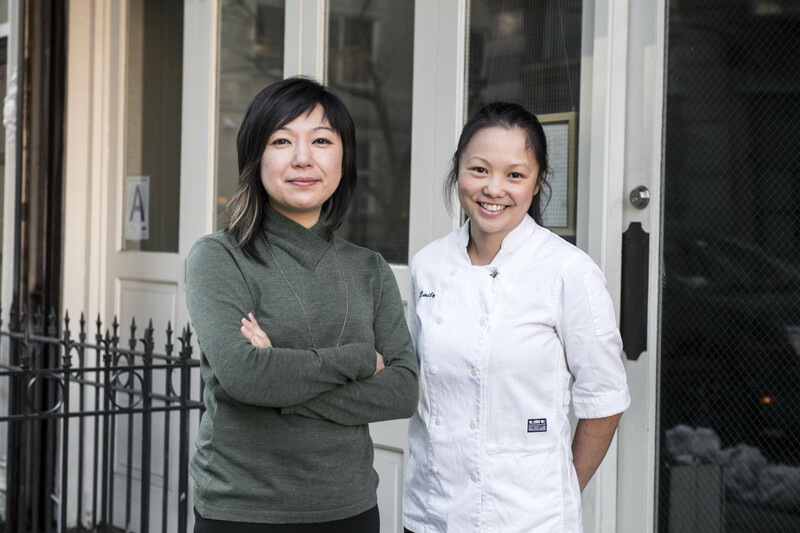 Maiko, whose family had a Japanese restaurant on the Upper West Side for 30 years, is the owner, and Emily, who hails from Vancouver, is the executive chef. Maiko chose the name Bessou because it means home sweet home, which describes the atmosphere she wanted to create by serving creative Japanese comfort food in a soothing, minimalist space. Maiko’s mother, who was a passionate home cook, is the guiding spirit of the restaurant, having taught Maiko about Japanese cuisine and customs. Maiko and Emily stop by Radio Cherry Bombe to talk about how they met, how they collaborate, and what the most popular items are at Bessou. Thank you to Le Cordon Bleu for supporting our show.